As a Cat owner.. 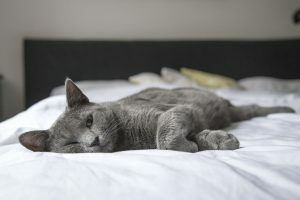 Sorry not Cat Owner but a Cat Slave, I was wondering why do Cats sleep with their owners (Slaves)? That’s a bonus to them! You Cats wants that too! 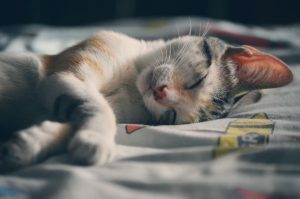 Warm And Cosy – Sleeping with your Cat on a cold winter night is the best feeling because of how warm your Cat gets and the heat he gives out. Both you and your Cat will benefit from this warmth. My Cat loves sleeping by my leg and with my younger brother he sleeps on his chest! Talk about trust! 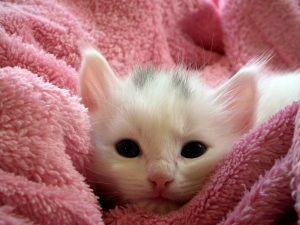 Cats Dirty Feet – If your Cat is an outdoor Cat then they would have gone everywhere which will obviously make their paws dirty. This could get your bed dirty too. Same applies with indoor Cats. They use the litter box and the dirt from the litter box could get onto your bed. It’s entirely up to you if you want to let your Cat sleep with you. 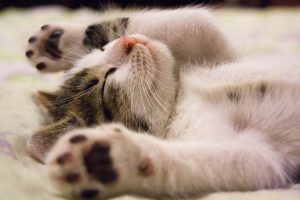 If your Cat sleeps throughout the night and won’t disturb you then why not? Spending that quality time together will only benefit you and your Cat. Well, let’s put it this way…my cats let me sleep in my bed and by extension…them! Love my kitties! Yes, a lot of the time she sleeps with me. I love it and she is family right? On the other hand we have central air and I keep a fan blowing on me at night because of hot flashes, so she doesn’t like that. I love my cats sleeping with me. If they are on the bed first I make sure not to wake the so I sleep in some funny positions. After all it’s their house and they just let me live there lol . Years ago in Egypt cats were treated like gods and they haven’t forgotten that. That’s so sweet of you not to disturb them. Too right it’s their house Lol! Cats rule!